Let’s get the gushing out of the way: Super Lucky’s Tale is so darn cute. The art is exaggerated, yet fully realized in an almost Pixar kind of way. Lucky is charming in his innocence and gosh-darn-it attitude. He is friendly and so well animated you can’t help but cry out when you die. The game feels extremely polished thanks to the superb animation. 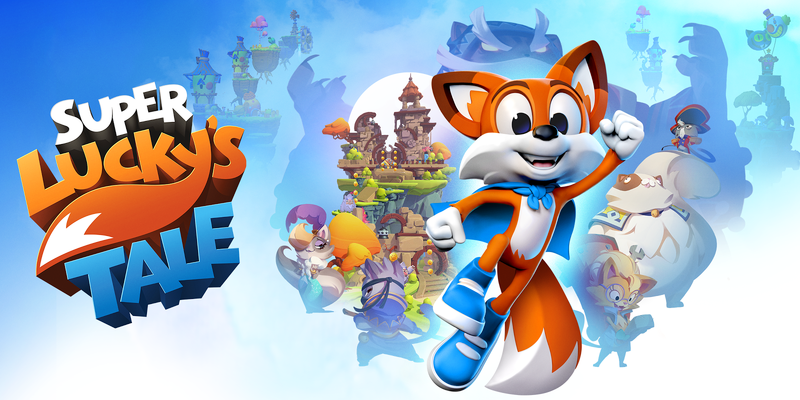 Unlike Cuphead, the other indie Microsoft title that released this year, Super Lucky’s Tale isn’t about a blistering difficulty. It reminds me a lot of the early 3D platforming greats such as Banjo-Kazooie, Super Mario 64, and Crash Bandicoot 2. 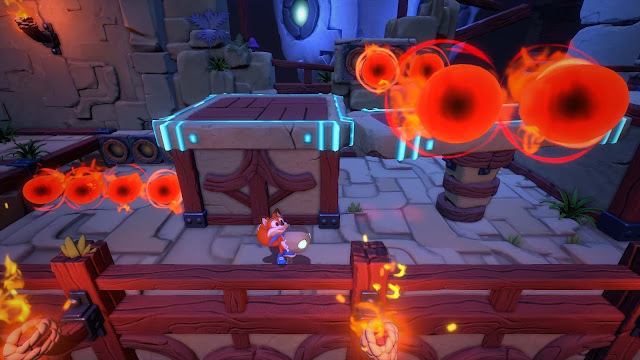 Levels rely on collecting coins and clovers, as well as floating L-U-C-K-Y letters akin to Donkey Kong Country. The first few levels offer a ton of variety too, from 3D levels where you re-animate a golem, to a side scrolling 3D puzzle where you can’t jump because you have to carry an object through a level full of fire. 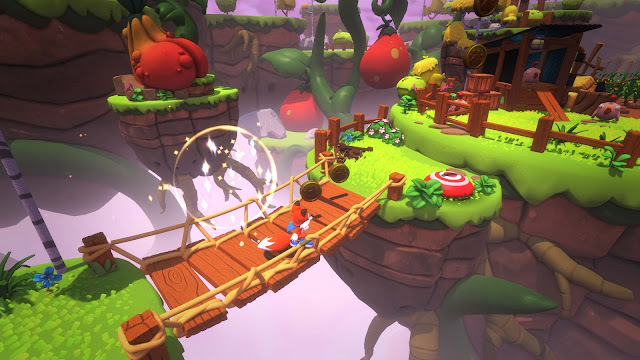 These different levels are a great way to break up the simple jump, spin, and burrow controls, and the level design is where that variety comes into play. So far, the 2D and puzzle-based levels are the highlights. There are some issues with the camera though, as it is only locked to one of three positions. It makes some of the jumps hard to judge, and most of them are over very open pits. The respawn system is pretty generous as to where it puts you if you missed the jump, but in some levels it becomes frustrating to grab those extra gems or coins when you miss the last leap and have to repeat the sequence all over again. There are only 99 clovers to collect throughout the game, and while I have only scratched the surface, it is nice to be jumping and collecting coins instead of shooting my way to my goals.